Riot Fest continues for the second day Saturday after plenty of controversy before it even started. 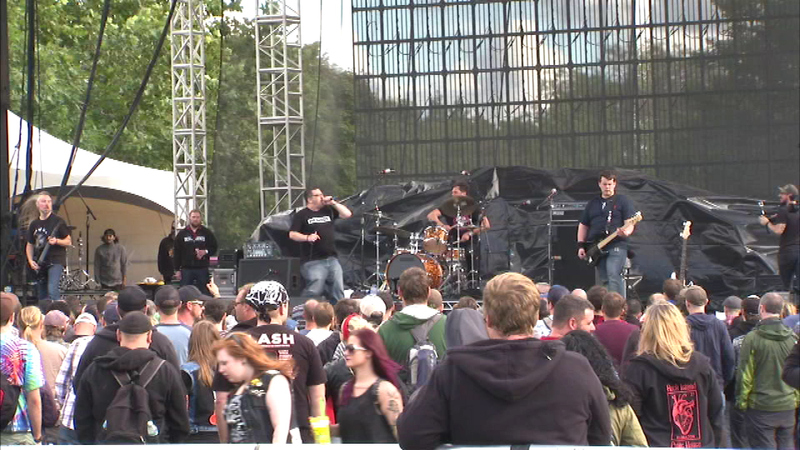 CHICAGO (WLS) -- Riot Fest continues for the second day Saturday after plenty of controversy before it even started. This year the music festival moved from Humboldt Park to Douglas Park in the Lawndale neighborhood. St. Anthony's Hospital sued to try to stop, but the two sides reached a deal. There are no reports of any problems Saturday, but neighbors have mixed feelings. "I don't find a problem with it, it's a nice day for stuff like this, Riot Fest, people come out to chill, listen to music, socialize and kick it," said Lawrence Johnson. "They put a stage directly at the entrance and so the bass levels are quite intense and windows are shaking our buildings are shaking, and I felt sick actually after about eleven hours of the bass," said Mayari Guzman. The three-day music festival draws tens of thousands of fans each day and wraps up Sunday.